Book Week Fancy Dress Costumes are the perfect way to celebrate favourite book characters. Book Week and World Book Day encourages a love of reading and books and is recognized in schools, libraries and bookshops. 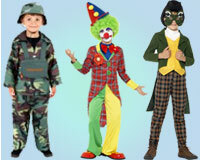 Activities take place where children get to dress up as book characters. We have loads of book ideas to help your children decide who they want to be. 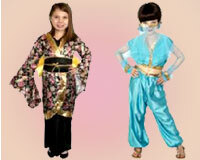 Look at our Book Week Fancy Dress Costumes including favourites such as Snow White, a Princess, Peter Pan and Robin Hood. Our ranges also include Horribe Histories and Moshi Monsters, so something for everyone. If it is not a full costume you are looking for then Book Week Accessories are ideal for you. Choose from a Dr. Seuss Hat or our popular collection of Pirate Accessories which includes Hats, Eye Patches and Bandanas, just right to be a Pirate from Peter Pan or Treasure Island.